Toasted muesli gets a bad rap sometimes because the commercial versions are often packed with refined sugar and other calorie-laden ingredients. 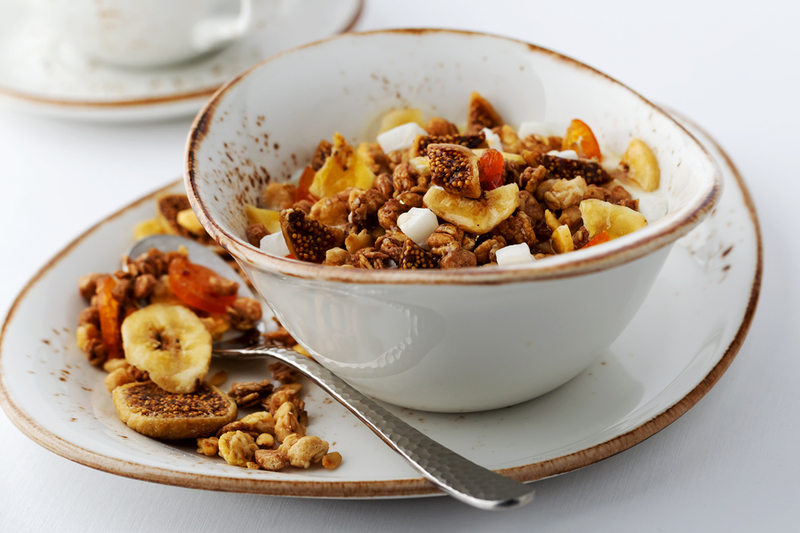 For a really healthy breakfast, try our toasted fruit and nut muesli. It’s sweetened with honey and super quick to make using your Panasonic convection microwave. Warm honey and butter in a large dish on 1000 W for 1 to 1½ minutes. Add dry ingredients except dried fruit and mix well. Cook on 1000 W for 5 to 6 minutes, stir halfway through cooking. Stir in dried fruit and allow to cool completely before storing in an airtight container.